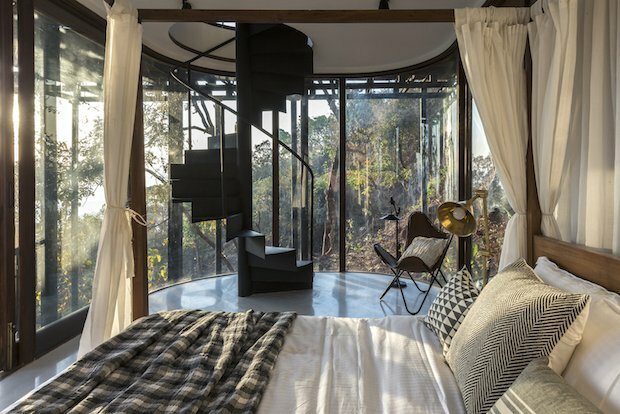 This place is a stunning “treesort”… you can’t let this unique accommodation slip out of your bucket list! 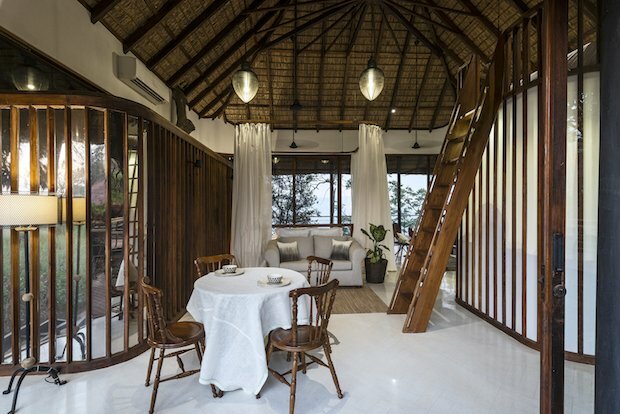 It’s the perfect refuge for those who are into meditation and soul searching. 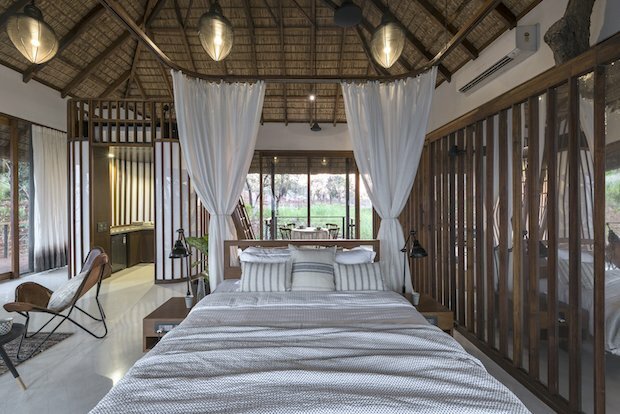 The villa has a very comfortable bed, surrounded mostly by glass walls, unique ceiling lights, outdoor bathtub with trees and flowers and a stunning river landscape… a true testament to how the landscape brings peace and tranquility. 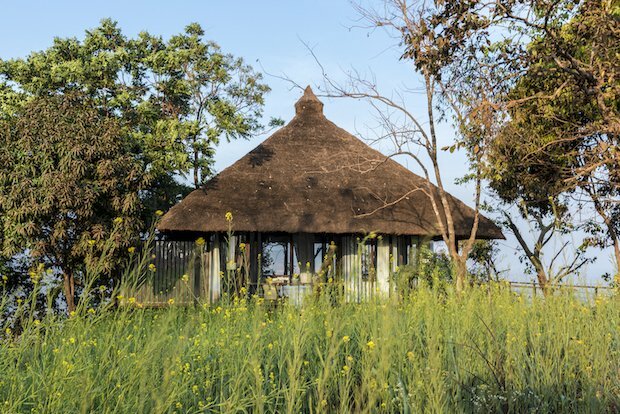 This relaxing and scenic gem in Tala, India is close to Kuda Caves, a place where Buddhist monks inhabited some 20 centuries ago. 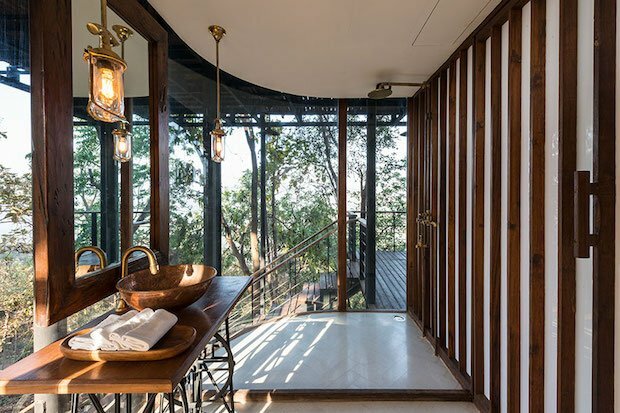 Now, the Tree Villa by Architecture BRIO offers a new way to explore the luscious grounds. 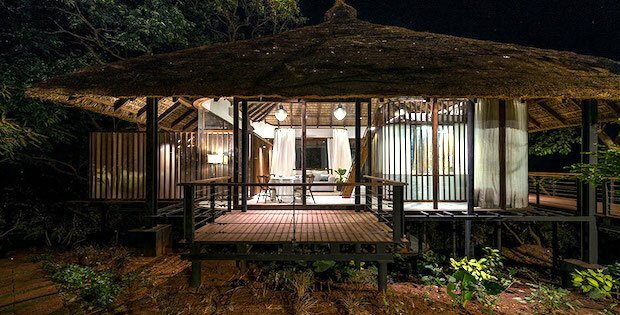 From the timber bridge and tiers of thatched roofing, the “treesort” was built to honor and celebrate the forest. 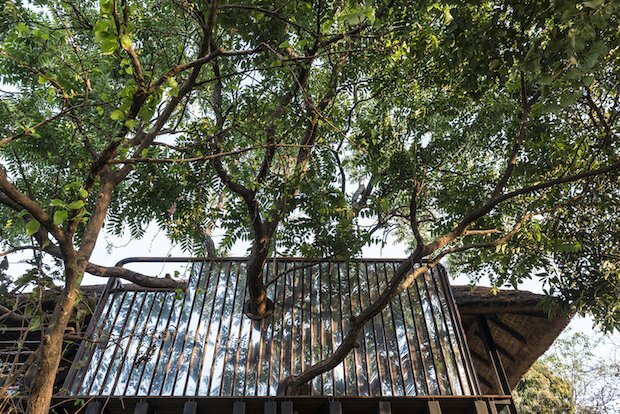 Similarly, portholes and fences make way for preexisting branches to grow freely, and for the admiration of visitors.